There are many different types of relationships that you have in your life, but the one you have with your family is definitely one of the strongest ones. It’s not hard to understand why – if you have a loving family, you probably know everything there is to know about each other. And, you probably know the importance of maintaining such an amazing bond. One of the best ways to do that is by going on road trips, and here are a few reasons why. Most families have busy schedules, whether we are talking about parents working full time and taking care of their kids, or children studying for school and taking part in extracurricular activities. Either way, life can sometimes be very stressful regardless of your age. Moreover, without some kind of way to relieve that stress, it can affect your life in more negative ways than one. Going on a family road trip together would give you an opportunity to take a break from all your daily worries. It would allow you to forget about work, school, or anything else that is stressing you out, and focus on simply having fun with your family. Plus, when you’re relaxed, it’s much easier to actually be engaged and present in the moment, which means that you’d actually be able to enjoy each other’s company. It’s not just about creating memories – it’s about creating memories that will be both positive and long-lasting. For example, most kids like going through old photos and remembering past events that they enjoyed. It gives them something to talk about, and one day, they might even share their experiences with their own children. Even the preparation process itself is an opportunity to create some fun memories if you include your kids in the planning. In short, family road trips make your children happy, because they will always remember that the vacations you’ve spent together have been some of the happiest moments in their lives. When you go on road trips, you become exposed to different cultures, ways of life, people, and experiences in general. You also get to try different cuisines, see new sights, and learn things that are not taught in the classroom. These are things that you would all remember and cherish for years to come. This alone is a reason enough to get a nice suv with plenty of room for your family, pick a destination, and start packing your bags. Exposing your kids to new experiences can not only teach them about new things but also help them develop their own interests by sparking their curiosity and encouraging them to explore more on their own. For example, if you visit a museum, your child might become fascinated by all the fossils and decide to become an archeologist – and all because of your decision to have a family road trip. There are many parents who let their children figure everything out on their own, which is why many kids often reach their teenage years, or even adulthood, without actually having any passions or serious interests. So, by going on road trips together, you would take part in the development of your children, which is bound to strengthen your family bond as well. Last but definitely not least, the family that plays together, stays together. 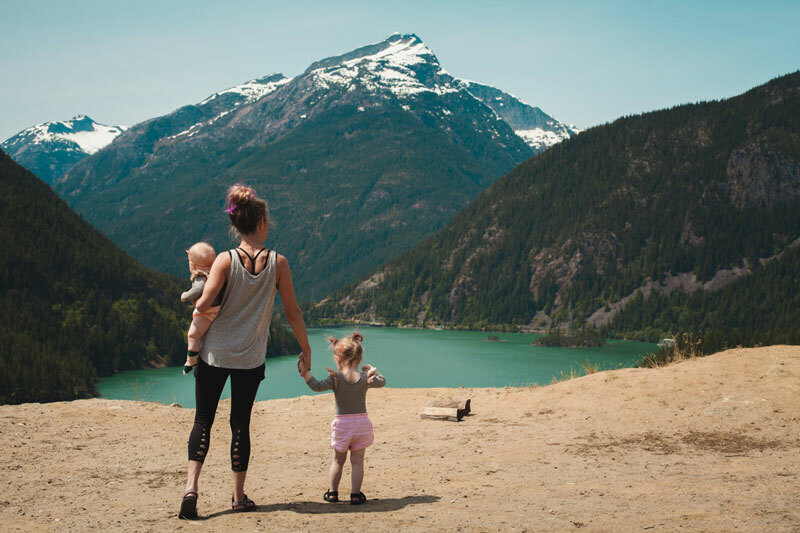 In other words, road trips are a great chance to have fun and go on adventures together; there aren’t many better ways to strengthen your family bond than having a great time together. It doesn’t matter whether you decide to go sightseeing or skiing, as long as you have fun together, you can rest assured that your bond will stay strong for a long time. Your family bond needs to be nurtured in order to stay strong, and going on road trips together is one of the best ways to do that. All the things that you do, from singing songs in the car to exploring different locations would bring your family closer together. So, choose your destinations, set a date, and take your family on a new adventure that you will definitely enjoy and remember for a long time. All images are from pexels.com, made my Josh Willink. Wannabe world traveller. Blogger. Sister, daughter, friend and aunt. My favourite writer is Tracy Chevalier and I always carry one of her books in her bag. I spend most of my free time at home with my nephews and/or walking my Labrador Retriever named Max.